I have some new livestock at home and soon to have at the office. As part of an urban bee keeping program, Brandon and Susan Pollard have installed two bee hives on the roof of my greenhouse/dog house. As you all know, we have a serious problem with our bee population and maybe we can help. Here’s more information on the program. 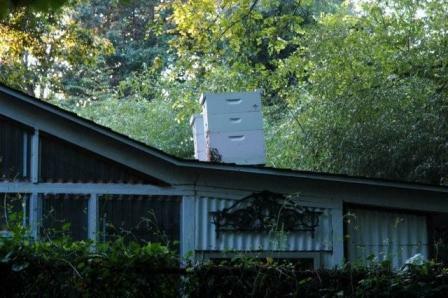 Howard, our association with beekeeping is deeper than the four years that we have kept hives in the 'hoods. Susan's grandfather was a beekeeper in West Texas near Abilene; our loyalty to honeybees has roots. 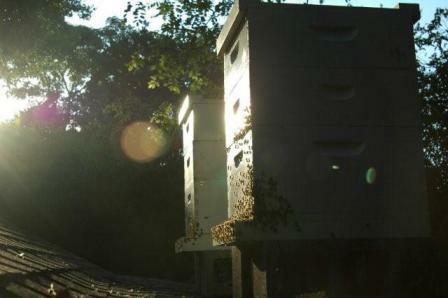 Our family has grown in a honeybee culture that embraces a love for America and her natural resources. Valuable life forms, however small, that are ignored or taken for granted, are in need of our support. 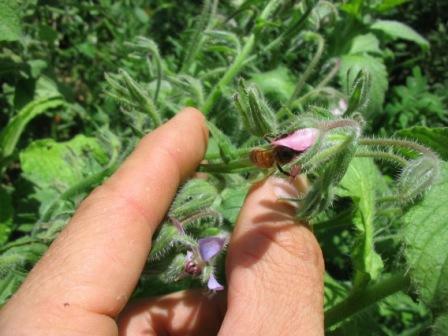 Rallying for the honeybee allows us to practice, model and maintain a standard of cooperation between an individual consumer and this particular food source. 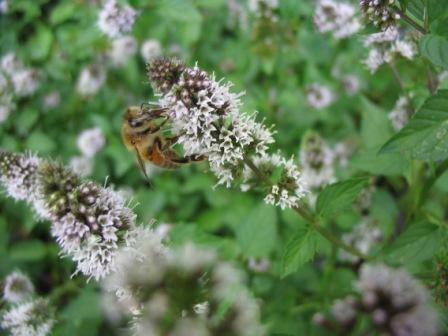 We take our cue from the honeybee whose virtues include purity, thrift and communication for the common-good. We, and the bees that we help shelter, support our natural economy and share in local industry, providing pure product and more. 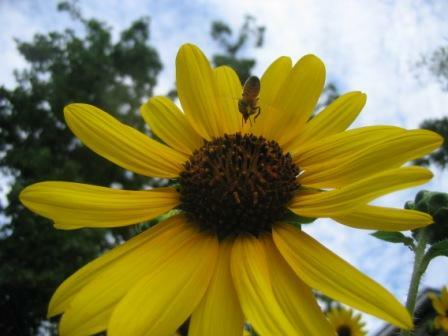 Our bee-attitude highlights and includes every pollinator that sustains and enhances our urban garden life. 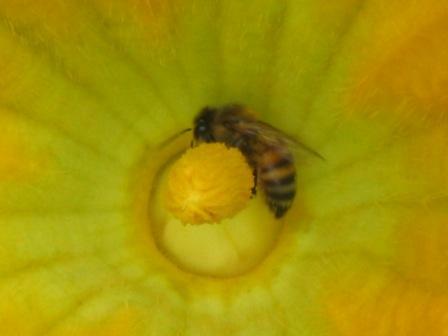 In appreciation for the daily joy the honeybees and their community provide us, we volunteer as advocates. Our efforts include: responding to wildlife hotline referrals for bee removal and swarm collection; representing Texas Beekeepers Association at the State Fair of Texas and promoting our state Honey Queen; assisting Dallas Farmers Market Days of Taste; presenting programs for public, charter and home schools, churches and community gardens, and the mentoring of new beekeepers. 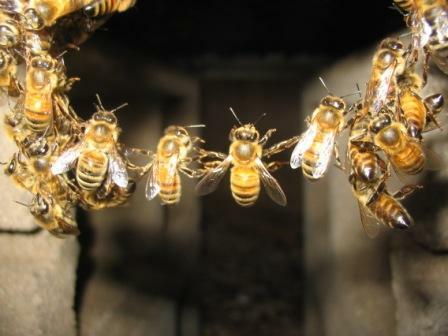 We research, network and learn more every day about honeybee populations and the sweetness they bring us. What bounty we are allowed at each season's end is Nature's gift for our cooperative efforts. Our Texas Honeybee Guild Extra Virgin Zip Code Honey appears in the Dallas marketplace as an emblem of our passion and commitment to keep the honeybee's generations with us long and strong. 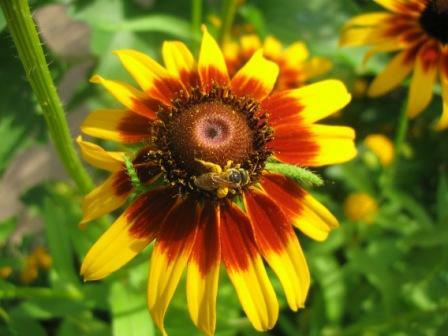 Please contact Brandon & Susan Pollard at Texas Honeybee Guild 214-826-8696 for more information. Bee-hold the following pictures of our spring/summer yard parties.